An eye pencil that offers a new technique to enhance the smoky eye look. Inspired by Laura Mercier's cult classic Caviar Eye Liner, Caviar Stick Eye Colour is offered in a range of beautiful shades and in a creamy formula to provide endless options for a flawless smoky eye. Each convenient stick is long-wearing, transfer-proof, and crease-resistant. The color glides onto lids and blends easily with a rich pigment-payoff. This product was dermatologist-tested. Laura Mercier Caviar Stick Eye Colour/0.05 Oz. 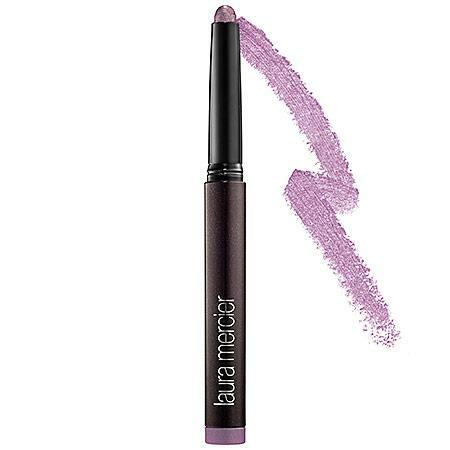 Laura Mercier Matte Caviar Stick Eye Color/0.3 Oz. Laura Mercier Matte Caviar Stick Eye Color/0.05 Oz.